THE prime minister of Malaysia Mr Najib Razak confirmed on May 17 that he expects to sign a memorandum of understanding (MoU) with his Singaporean counterpart Mr Lee Hsien Loong in July setting out conditions for the financing, construction, and operation of the 330km Kuala Lumpur - Singapore high-speed line. "Talks with Singapore are ongoing but we are in the final leg with only a few minor issues outstanding," Mr Mohd Nur Ismal bin Mohamed Kamal, CEO of Malaysian high-speed rail authority, MyHSR Corporation, told IRJ in London on May 18. "The MoU will cover all major headings including technology, safety, regulation, and procurement, determining how the contracts will be organised. We want to do it in a way that encourages competitive international bidding and both sides want to see good value in the bids." The funding structure for the project is currently being finalised and an announcement on the agreed allocation of costs is expected after the signing of the MoU. The MoU will provide a foundation for a bilateral treaty on the project, which is likely to be signed at the end of the year. 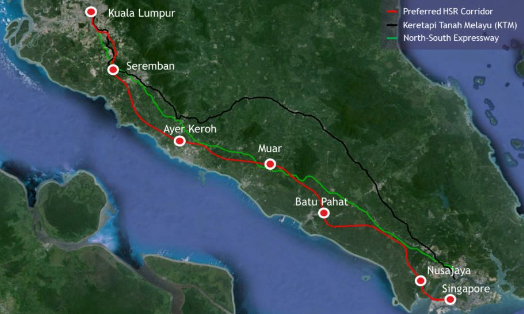 The line will start at a new station in Kuala Lumpur as part of the 197-hectare Bandar Malaysia urban development project, which utilises the site of a former airport, continuing south via Seremban, Melaka, Muar, Batu Pahat, and Nusajaya before terminating at Jurong East in western Singapore. Trains will operate at 15-minute intervals with a mixture of non-stop express services and stopping trains, which will serve the line's intermediate stations. The journey time for express services will be around 90 minutes, with stopping trains completing the trip in around two hours. Ridership is forecast to reach 22 million passengers a year within a decade of the start of operations. 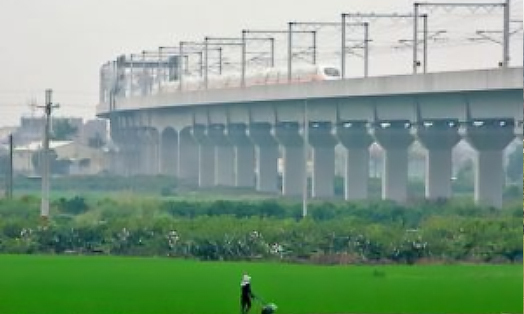 MyHSR has recently completed tendering for a technical advisor to support the project and a contract will be signed with the winning bidder within the next few weeks. A feature article on the project will appear in the July issue of IRJ.